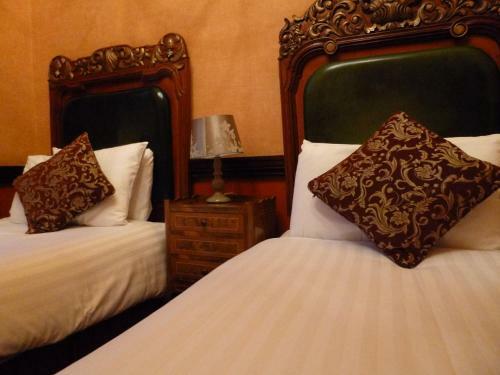 The Georgian-style hotel has great nightlife and individually designed rooms with period furnishings and antiques. 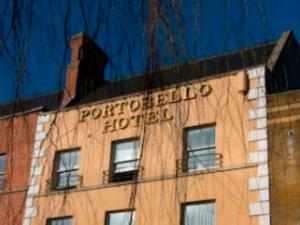 The hotel features some of the Dublin’s hottest nightlife. Krystle was winner of Best Nightclub in Ireland in 2007, 2008 and 2009. 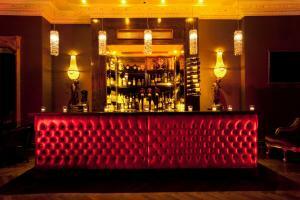 The Russell Court is a hotel for those who like to party with its bars and nightclubs open 7 days a week. Because of this all rooms can be affected by noise. 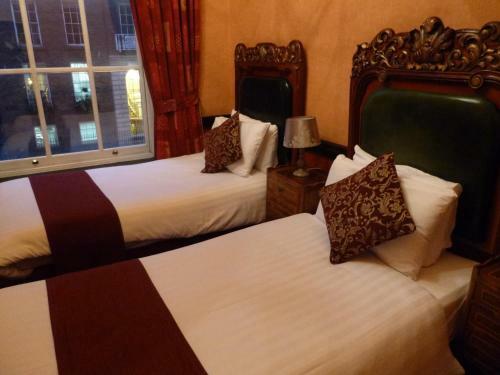 The Fitzwilliam Hotel price per day from €189 In central Dublin, The 5-star Fitzwilliam Hotel offers luxurious accommodation and a Michelin starred restaurant. There is a gym, and the hotel’s interior design is by Sir Terence Conran. 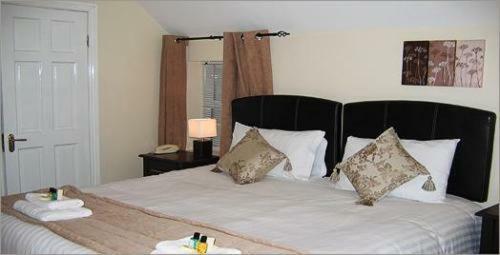 Rooms have baths and power showers, anti-mist mirrors, luxurious bathrobe, slippers and H20 toiletries. On the mezzanine level, Citron serves modern Mediterranean cuisine. The gym is equipped with modern equipment whilst the Spirit Treatment rooms offer many treatments including pedicures, massages and nail work. 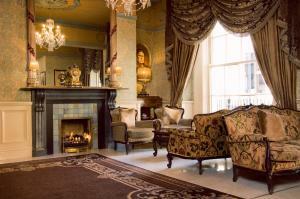 The Shelbourne Dublin, A Renaissance Hotel price per day from €205 Overlooking beautiful St Stephen’s Green, this historic, landmark hotel is located in the heart of Dublin. 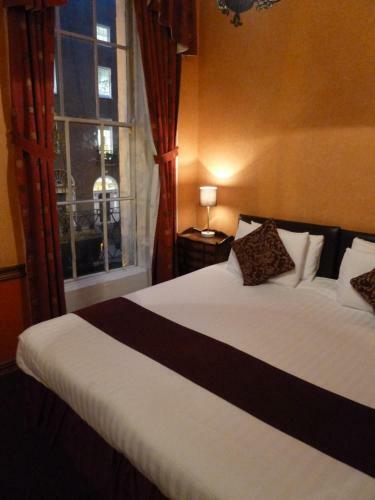 Just 5 minutes’ walk from Trinity College and The National Gallery, it boasts luxurious rooms with elegant, marble bathrooms. The Saddle Room restaurant is a modern steak and seafood restaurant with elegant, classic touches. The hotel features an exclusive Health Club and a luxurious spa offering 6 treatment rooms, a manicure and pedicure area as well as a relaxation room. 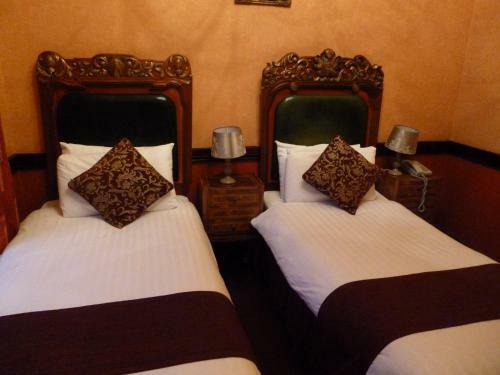 O'Callaghan Stephens Green Hotel price per day from €107 With rooms dressed in soft rich fabrics, artwork and light wood furnishings, O’Callaghan’s overlooks St Stephens Green. With Wi-Fi throughout the hotel, O’Callaghan’s also has a bistro, restaurant and bar. O'Callaghan Stephens Green Hotel has a beautifully restored Georgian Library with staccato ceilings and open fireplaces. Many have terraces with views over Dublin City and all include Plasma TVs and US and European sockets. Restaurant Sabor Brazil, Dublin Guest reviews: 9,8/10 ~ 0,2 km from Russell Court Hotel Address: 50 Pleasants Street - Off Camden Street, 8, Dublin. Cuisine: Brazilian. 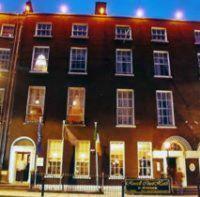 Restaurant Dax , Dublin Guest reviews: 9,2/10 ~ 0,6 km from Russell Court Hotel Address: 23 Pembroke Street Upper, 2, Dublin. Cuisine: European. Restaurant Patrick Guilbaud, Dublin Guest reviews: 9/10 ~ 0,8 km from Russell Court Hotel Address: 21 Merrion Street Upper, D2, Dublin. Cuisine: French. Restaurant Kathmandu Kitchen Nepalese & Indian , Dublin Guest reviews: 9,2/10 ~ 0,9 km from Russell Court Hotel Address: 18 Dame Street, Dublin 1, Dublin. Cuisine: Indian. 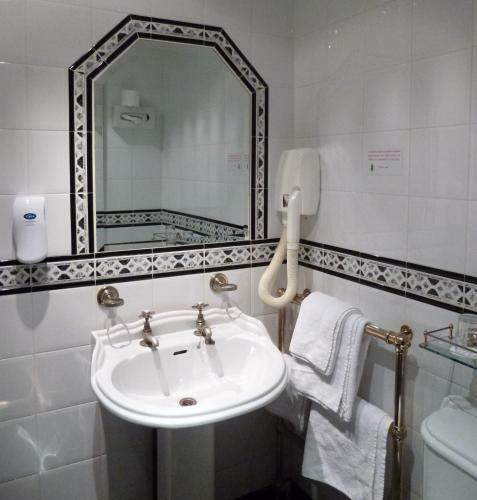 Restaurant The Sussex, Dublin Guest reviews: 9,2/10 ~ 0,9 km from Russell Court Hotel Address: 9 Sussex Terrace, Upper Leeson St., Dublin. Cuisine: Irish.